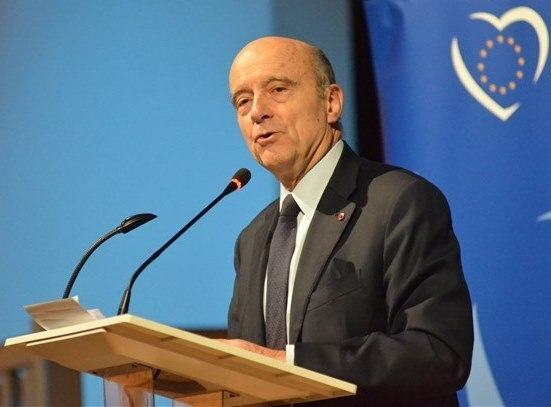 It is all the more surprising – one is tempted to say: refreshing – that Alain Juppé, mayor of Bordeaux and former prime minister (1995-1997), has decided to swim against the stream. Launching the (long) campaign for the primaries of the French right in view of the presidential elections 2017, his calm but firm coming out as Europhile deserves to be mentioned. No, he does not consider the old peace narrative old-fashioned or ‘has-been’, but ‘more valid than ever’ (an opinion I can easily identify with). No, he does not buy the Eurosceptic ‘nonsense that one can hear everywhere’, but intends to ‘maintain a discourse that tends towards reinforcing Europe’. How much of this is sincere, how much is due to a differentiation strategy from Sarkozy? Still, he remains a believer: ‘Europe is a change, not a threat.’ He is not alone to see part of the solution in a two-speed Europe built around a Eurozone inner circle and a more flexible Union around it. To those who mock the lyrical tone of his public declaration of love, he answers that he persists ‘in thinking that one needs to talk about Europe in an emotional rather than institutional manner’. Sincere as this may be, it will be difficult to uphold in what promises to be a campaign in which his rival Sarkozy is likely to woo those tempted by the Front National by drifting towards more extremist positions, including on Europe. It will be more than interesting to see whether the attitude of Juppé – ‘standing tall in my boots’ as he likes to say – will be perceived as the typical arrogance of the established elite or actually pay with voters, precisely because it is against the stream. This entry was posted in Current Affairs, The EU, Uncategorized and tagged European Union, Euroscepticism, France. Bookmark the permalink.